One of the most difficult parts of my job is coming up with a recipe title. Unfortunately, the recipe title isn’t a great place for creativity and wit. 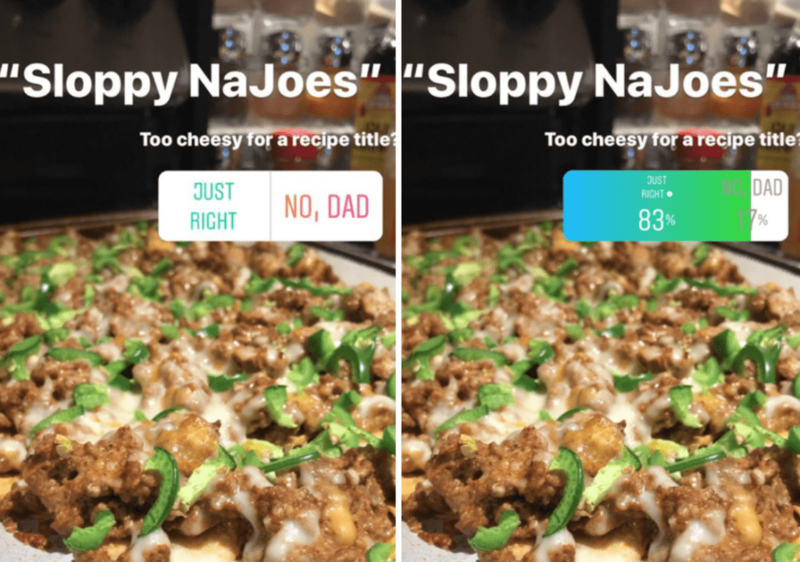 I understand that nobody looking for a high protein sloppy joe nachos recipe, for example, is going to search for Sloppy NaJoes. So, I do my best to keep it direct and to the point, much like my style of cooking and recipe development. Still, I wanted to poll my Instagram to see how they felt about a more creative name like Sloppy NaJoes. It just makes sense, right? As you can see below, the ‘gram approves. Who am I to deprive the people of what they want (even if I thrust it on them)? Thus, the Sloppy NaJoes was slapped on this recipe’s title. As usual, this recipe is super simple and packed with protein. The recipe makes 4 servings, each with 175 calories, 21 grams of protein, and only 17 grams of carbs. That’s right, 17 grams of carbs in nachos NaJoes! The first and most obvious thing you’ll need is a sloppy joe recipe. Feel free to just wing it, but I have a high protein Instant Pot sloppy joes recipe that’s to die for. And don’t worry, you don’t have to use an Instant Pot. The recipe gives instructions for the stovetop as well. 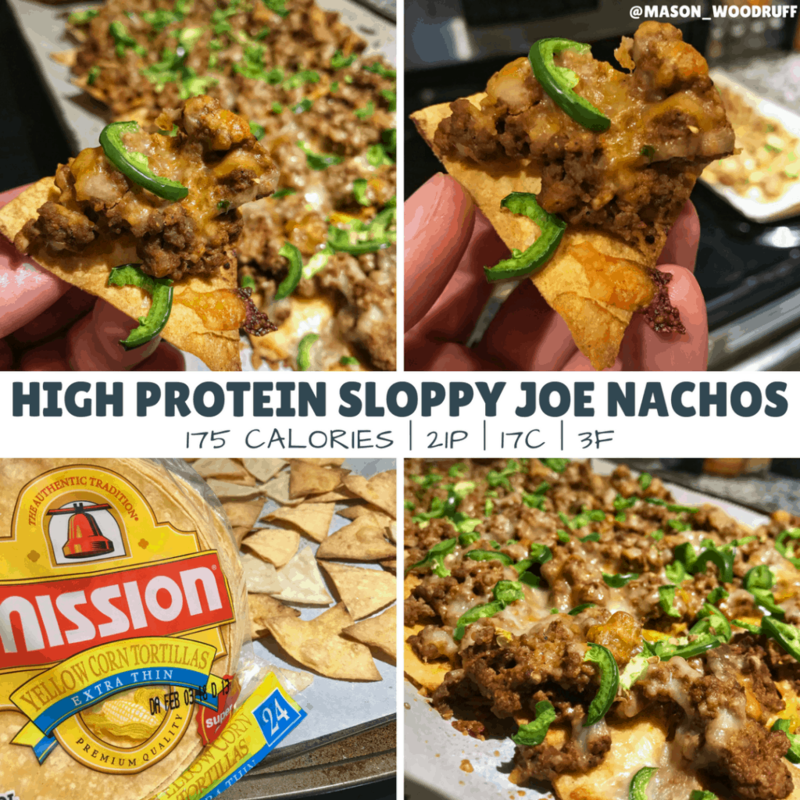 The calories and macros I’ve calculated for these sloppy joe nachos used my high protein sloppy joe recipe and the tortillas you’ll see in the image below (bottom left). Any tortillas will do, but these have 120 calories for 3 tortillas. That’s cray cray macro friendly. 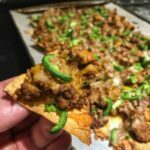 If you’ve seen my recipe for high protein chips with Flatout flatbreads like in the healthy Frito chili pie recipe, these tortilla chips have fewer calories and more volume. Not to mention, they taste better. The only other ingredient(s) you will need is shredded cheese. You’ll notice the recipe calls for fat-free mozzarella and cheddar. Feel free to substitute for full-fat cheese or other kinds of cheese. If you can’t find fat-free or want to save a bit of money, you can use a 2% or reduced-fat cheese to still save a few calories. And finally, I decided to add jalapenos. If you wanted to increase the volume even further, you could add more peppers, onions, and other vegetables. 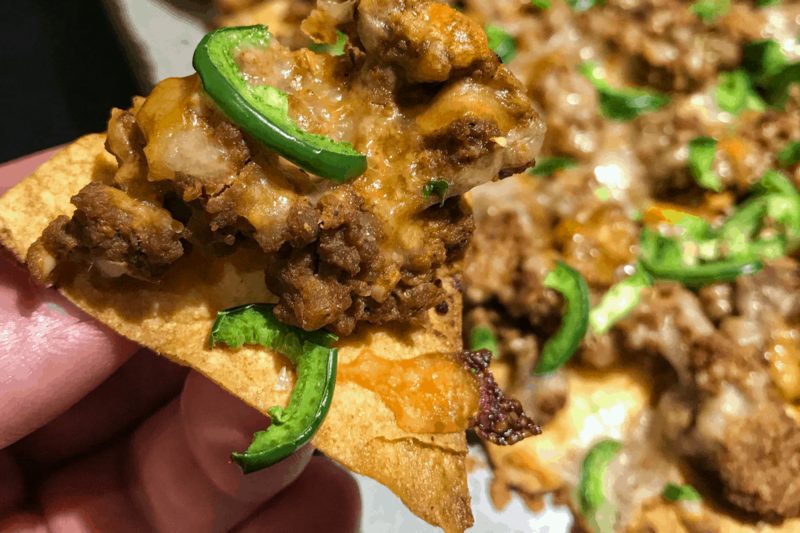 A high protein, low calorie twist on sloppy joe nachos. Spray the tortillas with a bit of cooking spray and sprinkle with sea salt. Optional: squeeze a bit of lime juice on top of the tortillas. Bake for 6-8 minutes or until the tortillas are golden brown and crispy. They'll continue to crisp as they cool, don't overcook. After the tortilla chips have cooled, spoon reheated sloppy joe mix on top of the chips, followed by the shredded cheese and sliced jalapenos. Bake for an additional 8-10 minutes or until the cheese is fully melted. Serve warm and enjoy! I hope you enjoy these sloppy joe nachos! 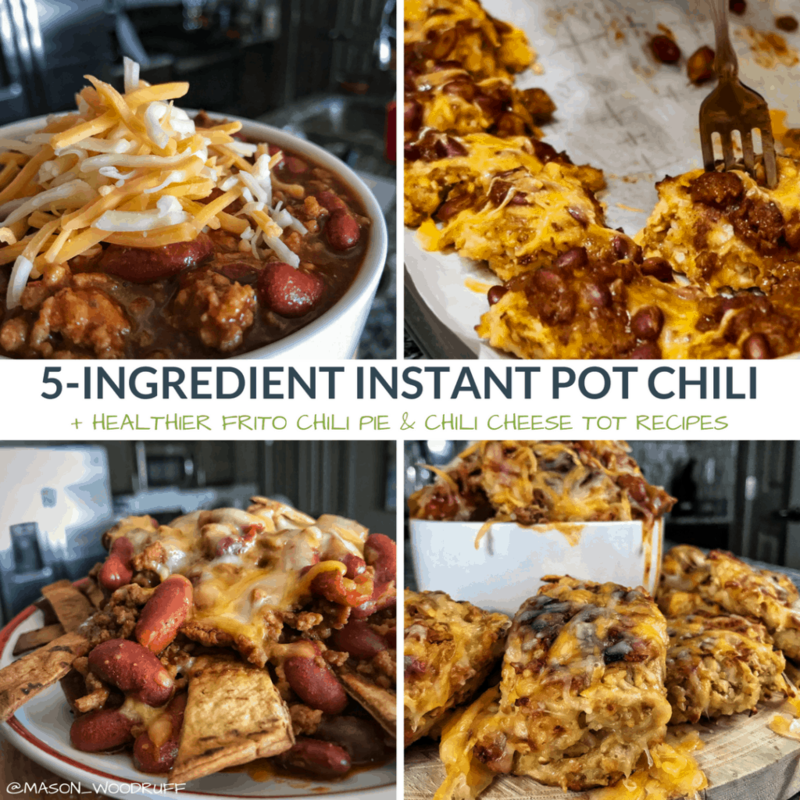 If you do, and you would like more high protein recipes in this genre, I think you’ll enjoy my Instant Pot chili recipe (stovetop adaptable as well) with a healthier take on the Frito chili pie and chili cheese tots. As always, if you try any of my recipes, I want to see your re-creations on Instagram. It lets me know you’re putting healthy recipes into action, and I love sharing your recipes to inspire others. P.S. 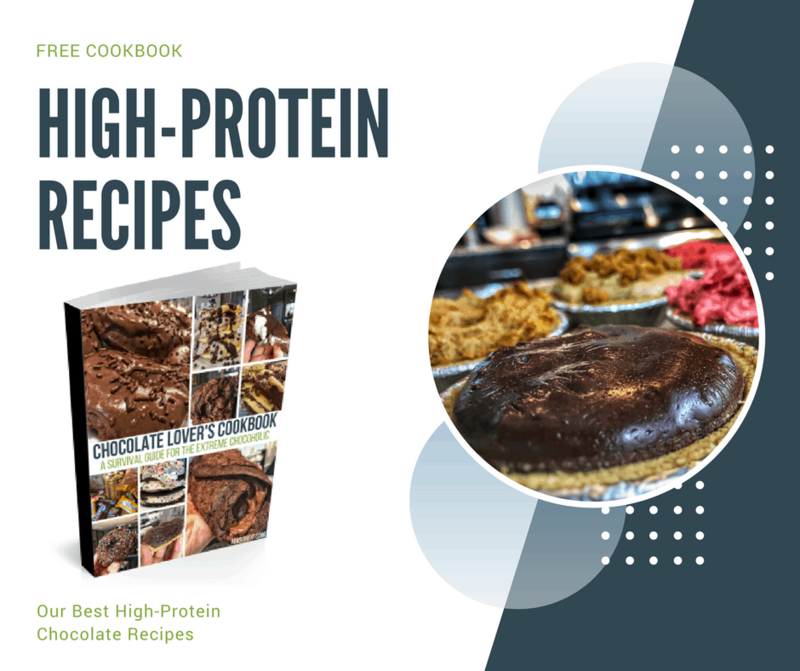 If you’re looking for dessert ideas, check out my free high protein cookbook for chocolate lovers. You can check it out here or simply enter your info below and I’ll send it your way.